You are here: Home / Practice of Dentistry / All Porcelain Posteriors or PFM??? All Porcelain Posteriors or PFM??? For many years I have participated in and listened to the conversation about what type of posterior crowns people are placing, porcelain fused to metal or all porcelain. Before the development of stronger porcelain materials that also meet our esthetic demands, and our ability to use them as monoliths, there wasn’t much steam in the debate. In those days porcelain fused to metal was the clear leader. This trend has been shifting based on the conversations I hear over the last five years. In my personal practice I do still place PFM restorations, but the number I place is diminishing rapidly. Just this week I recommended a crown and the patient asked “will it be the kind with this black line?” as she pointed in her mouth at a lower molar. This is becoming more and more common in my experience, patients esthetic goals have increased along with our ability to deliver better outcomes. I had the privilege to hear Dr. Michael DiTolla lecture this afternoon. In addition to being very entertaining, he shared truly valuable information. One of the things I learned is that I am not alone in increasing the number of all porcelain crowns I seat compared to PFM. Michael shared data from Glidewell Dental Laboratories. 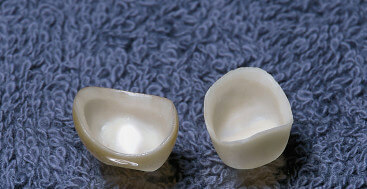 In 2007 PFM represented 61% of the posterior crowns they made as compared to 29% for all porcelain. In 2010 these numbers had changed dramatically to 45% for PFM and 47% for all porcelain. The numbers reflect what I believe is a growing trend toward using all porcelain as our posterior restorative material of choice. 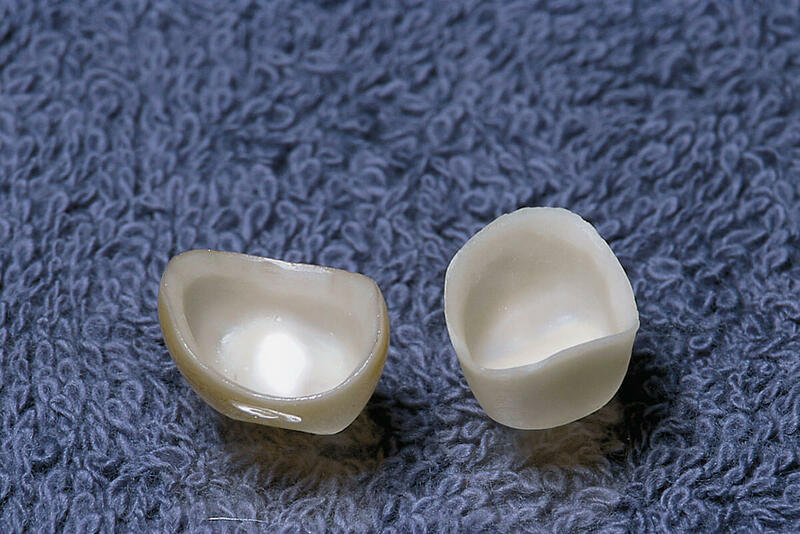 Lithium Disilicate (E-max) and Monolithic Zirconia (BruxZir) have increased our confidence that all porcelain is strong enough to withstand the forces in the posterior and not fail prematurely. We can meet our patients request to not have any metal in their restorations, and meet their esthetic expectations. I believe there are clinical situations for which both of these restorations work, and others where one or the other may be preferable. In my hands instead of a debate it is a matter of having choices. Lee Ann, this is interesting since I replaced almost every zirconia crown on posterior teeth I made before working with my current lab. What happened is unsupported porcelaine broke, probably the previous lab thought zirconia was idiot prouf but still need to respect the same porcelaine concepts. As far as esthetic and durability I just LOVE E-max !!!!!!! thanks for posting this great topic and looking forward to read other comments ! Your experience with Zirconia is not uncommon. One of the things to know is that the fracture rate of the veneering porcelain was very dependent on the lab, and happened in all of the brands of Zirconia. I agree that we want to be cautious about the distance and amount of unsupported veneering porcelain, but we also had a major technique issue that appears to now be resolved. It seems that due to the different rates at which Zirconia and veneering porcelain cool, I special process of firing the glass and then slow cooling it was required. I sounds like most of those challenges have been worked out, but of course as you know time will tell. And Yes, Lithium Disilicate ( E-max) has been a great addition to our materials choices! I had the same experience as you, and that is why BruxZir is a solid zirconia material, with no veneering ceramic on it. Any time we bond two materials together, there is a chance that they might come apart! So much like e.Max, BruxZir is a single material restoration. We struggled to make it look good when it was launched two years ago, but have made some good progress towards increasing its translucency and improving its esthetics. It does not look as nice as e.Max, but it’s 3 times as strong and has found a following with dentists looking for high-strength, tooth-colored materials on teeth where they would otherwise use cast gold or a metal occlusal on a PFM. I’ve heard of all zirconia restorations and haven’t seen it yet. After that experience I’m a little concerned. Lee Ann is right, most porcelaine broke at the interface with zirconia. Actually if someone absolutely refuses cast gold or as you mentionned gold occlusal I might give BruxZir a try! I remember when I first saw the advertising of BruxZir, my concern was what would be the effect of zirconia on opposing teeth? I’ll let Michael answer also as he has more data then I do, but my understanding is that highly polished Zirconia is not anymore abrasive to opposing tooth structure then our other porcelains. The key is to make sure if you need to adjust that you polish well. I only use CEREC and my posterior restorations are e.max. Today I received a payment from Cigna insurance for a ceramic crown code 2740 thatpaid 55%. I had originally had a treatment estimate for a PFM code 2750 0n the same patient and the insurance would pay 85%. Any comments on this or has anyone else seen a fee less for ceramic? I do not know what they pay for FC gold. I have not heard of this before, but will see what I can find out. How is effect of BruxZir opposing a PFM crown? That’s a good question. The answer really depends on the polish of the zirconia, the type of ceramic on the PFM, and the fabrication technique. The first concern that comes to mind is in a patient with high functional risk, lots of loading from parafunction I would worry about the ceramic failing off the PFM. The wear would depend on the type of opposing ceramic and the polish.